Music Haven | Giving all kids a chance to play! 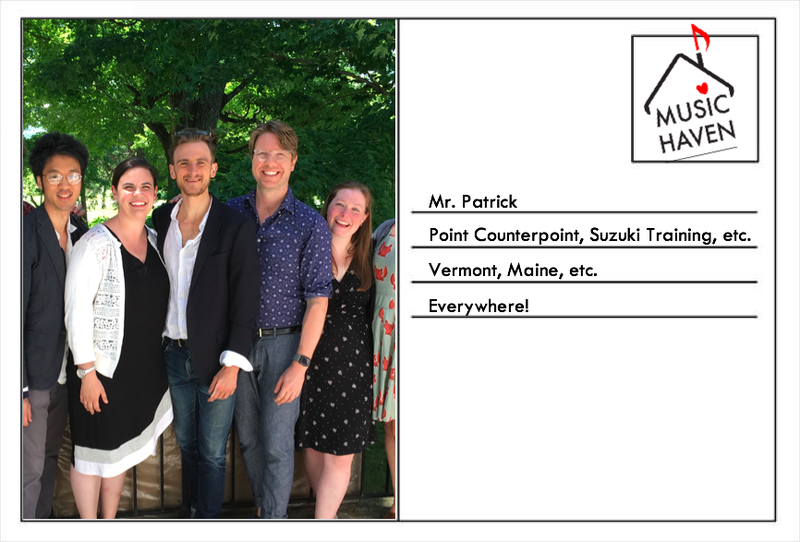 - Postcards from Camp: Mr. Patrick's Action-Packed Summer! Time flies! It’s been a great summer. It began with playing the Beethoven Concerto with The Orchestra of the Bronx in June. What a treat to inhabit this great Masterwork. I liken it to being in the middle of a massive diamond, brilliance refracting from all its facets. 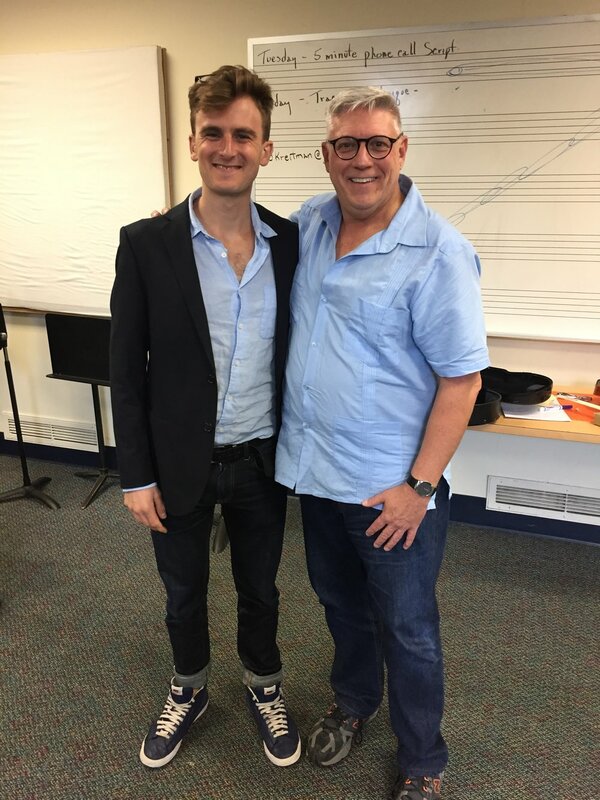 Later in June, Philip and I were faculty for Session 1 at Point Counterpoint, in Vermont. It is always special for me to return there because it’s not only where I decided, as a young person, to devote my life to music; it’s where Philip and I first met and played chamber music together. Several of our Music Haven students came as scholarship students this summer. Thank you for your great generosity Jenny Beck! Faculty at Point Counterpoint Session 1 this summer, “The Dream Team.” Everyone is so talented and distinct. I learned so much working and playing with them this year. I feel so lucky to have had a couple weeks without many engagements this summer. In my free time, I’ve been enjoying training for the Hartford Marathon coming up this fall, brushing up on my French for an exam this fall in my Doctorate program, playing Bach on my new digital piano, hanging out with my kitty, reading a bunch about loads of stuff, oh and of course visiting my folks in Maine, where I grew up. In July I took the Suzuki Book 2 teacher training for violin. I worked with the teacher trainer, Edward Kreitman, last year in my Book 1 training. He is one of the greatest teachers I’ve encountered in my life. Mr. Kreitman’s mastery in communicating the elements of string playing, his generosity, and skill and intuition in addressing technical issues in his students was a true revelation and inspiration. I am looking forward to sharing the wealth of knowledge and experience I’ve gained with my students this year. In August, I played a solo recital in Maine at a series hosted by Jan Hryniewicz called, “Good Energy Cafe.” Jan is a retired minister and has a knack for bringing wonderful people together. She enriched the event with her rich spiritual presence. I performed works of JS Bach, Valentin Silvestrov, Bernd Alois Zimmerman, and a short work of my own. I have found that works for solo violin can sound both dense and cryptic to the listener, making them difficult to make sense of at times. Much of this is do to the nature of the instrument, which has limited harmonic capacity. I enjoyed introducing the material to the audience and framing the works through an extramusical narrative. It’s been a summer of growth and opportunity. Ready for another school year of the same. Myself and Edward Kreitman. He was the Suzuki teacher trainer for my class both this summer and last summer. He is a really wonderful, skilled and generous teacher. I am excited to share what I learned with my students this coming year.